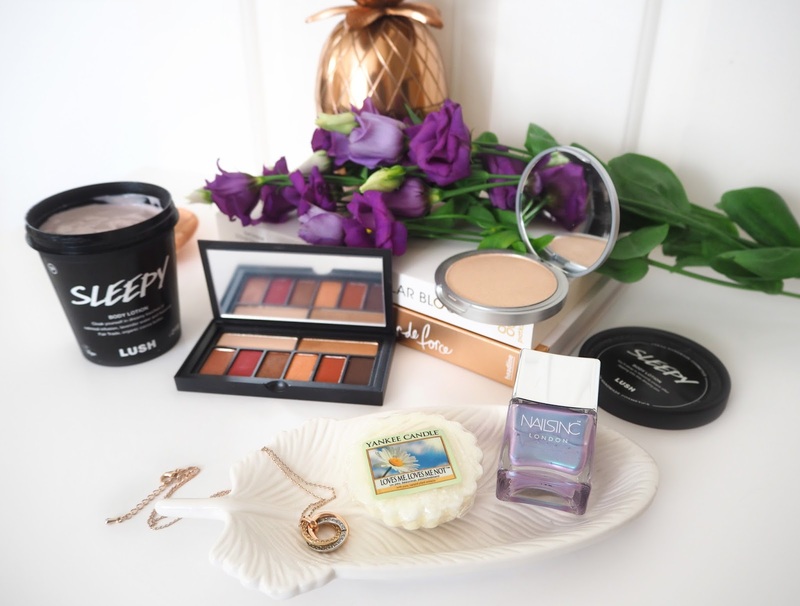 It's that time again, today I'm running you through a list of items/products that I have been loving this last month. 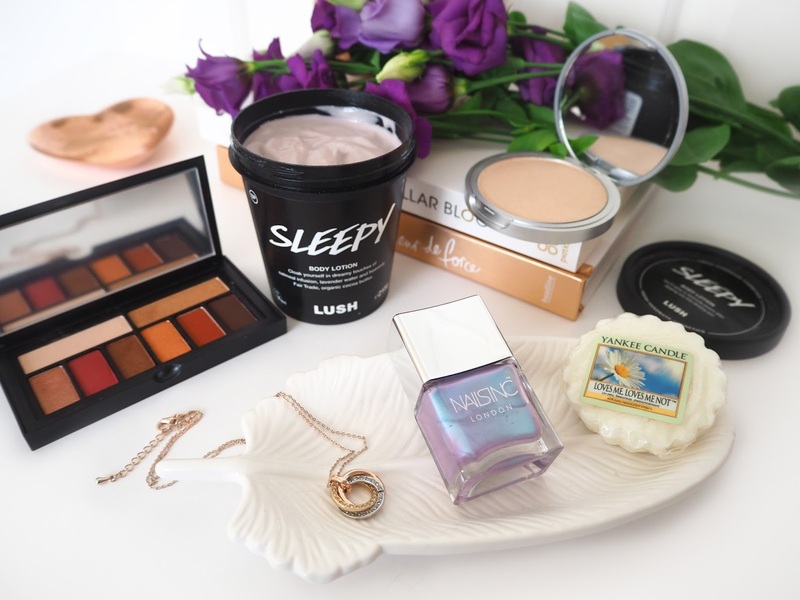 I have loads of new (and old) favourites to share with you! Wearing the Smashbox Ablaze Palette & Ring Necklace (featured below). 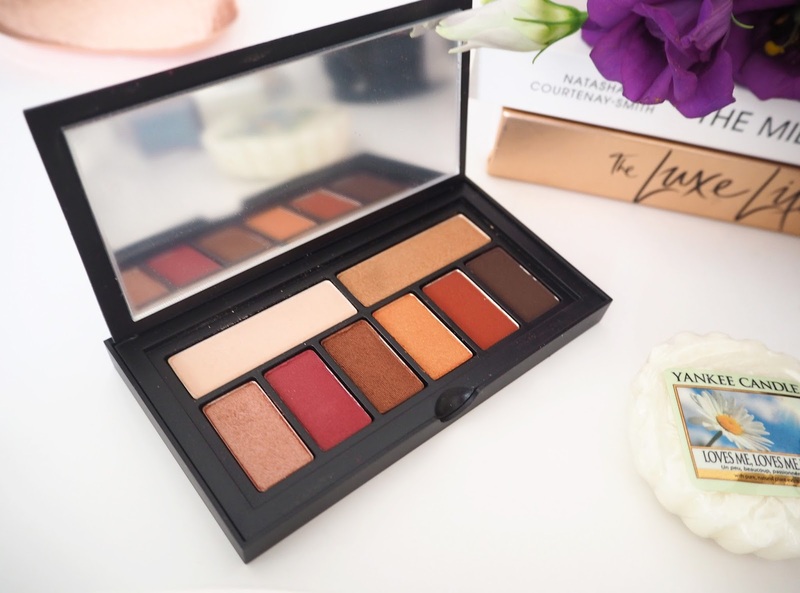 Smashbox Ablaze Palette | If you saw my recent post (here) you'll know I attended an event at Smashbox in Brighton last month, we tried out a lot of their new products and I couldn't resist buying this palette! 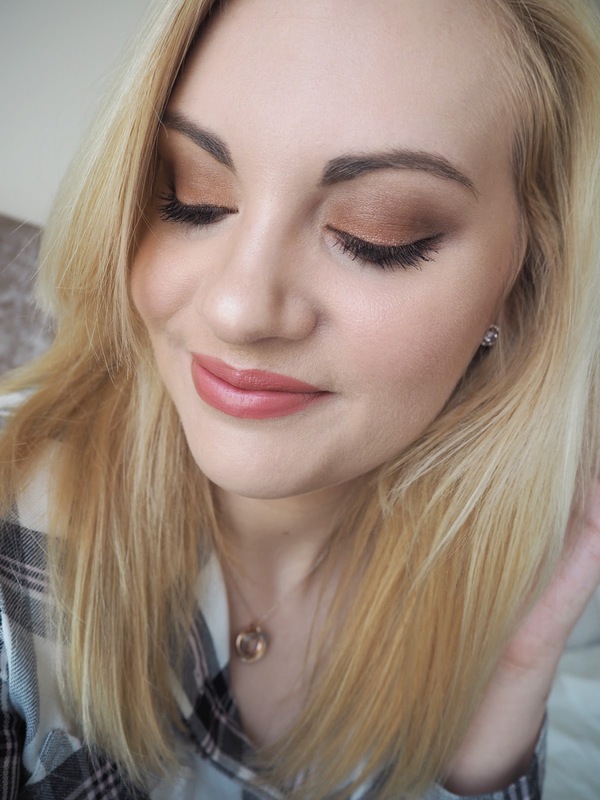 I'm really enjoying experimenting with warmer tones like oranges and pinks on my eyes at the moment as oppose to sticking to my usual safe neutrals and taupe shades. I think they work really well and aren't half as scary as I thought! All the tones in Ablaze are inspired by the warm colours of the desert and I really love the highlighting shades at the top. I'm really impressed with the quality too, having never tried Smashbox shadows before, they're amazingly pigmented and blendable! 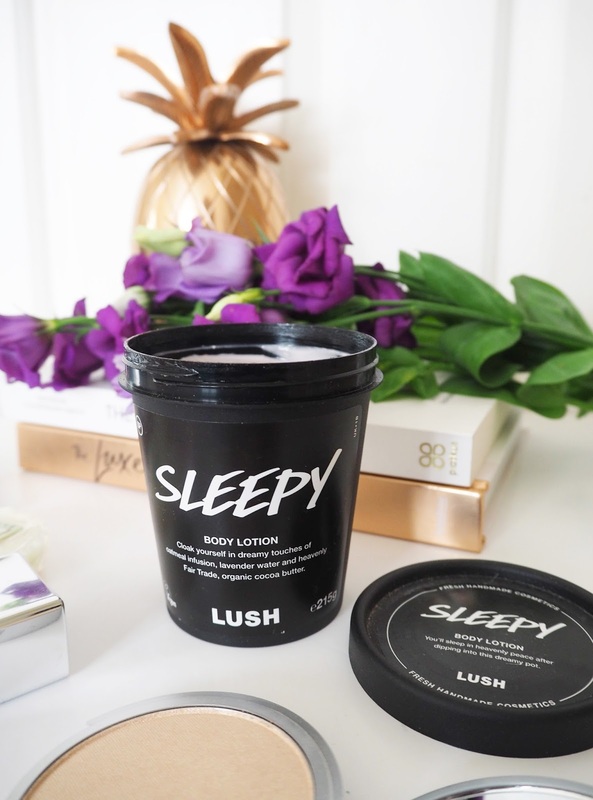 Sleepy Body Conditioner | Ahhh Sleep... Something that evades me on a regular basis especially whilst I'm having my treatment. When I'm in a great deal of pain I struggle to fall asleep even though I'm on medication. This body lotion was brought out by Lush last year as a Christmas exclusive (although I'm really hoping they'll make it a permanent addiction!) so unfortunately it's not longer available, unless you try searching eBay. As the name suggests it's designed to help you wind down and relax as you melt the product into your skin and inhale the aroma. This lilac hued lotion smells so divine, with lavender oil, almond oil, tonka and oatmeal and enriched with cocoa butter it's a dreamy combination! The scent is in the same family as Twilight so if you're a big fan of the bath bomb like I am the you'd definitely love this too. I'm really enjoying using it at the moment particularly whilst my body is going through a lot and I'm feeling stressed and anxious. I find the scent lingers on me so I can still smell in when I'm drifting off hence I associate it with sleep now and it's really helping. 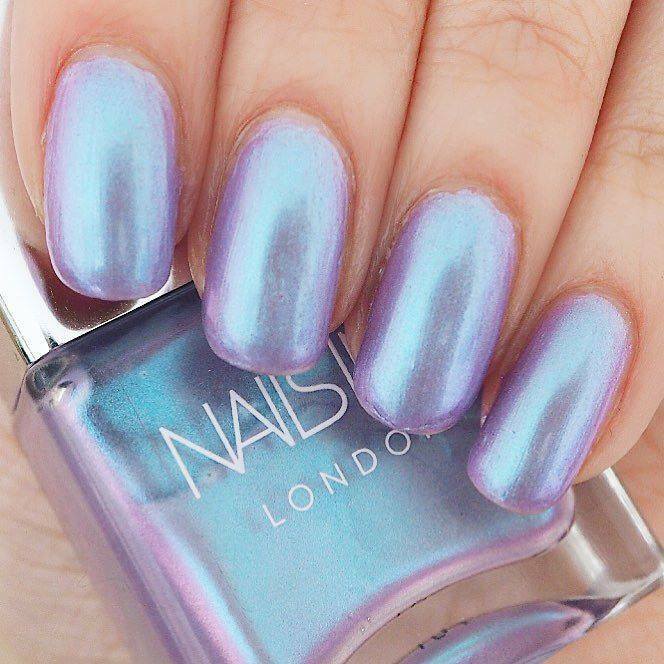 Nails Inc Rainbow Wishes | Seriously, just how magical does this nail polish colour look?! This shade is called Rainbow Wishes* and is from Nails Inc's brand new Sparkle Like A Unicorn Duo. With powder blues, purples and pinks running through, it looks different as it catches the light. I imagine this to be just like a unicorn's mane! "Long wear, high shine, iridescent polishes bringing gleam and sparkle to your nails." I'm such a fan of Nails Inc's wide brush too, it makes it SO easy to create a neat finish! It's very long lasting, remains shiny and I've had so many compliments on them and people asking me wear they can get it. Unfortunately the duo is currently showing sold out on the Nails Inc website however you can sign up to be notified when it comes back in, so I'd recommend doing that if you want to be first to get hold of them when they come back in! 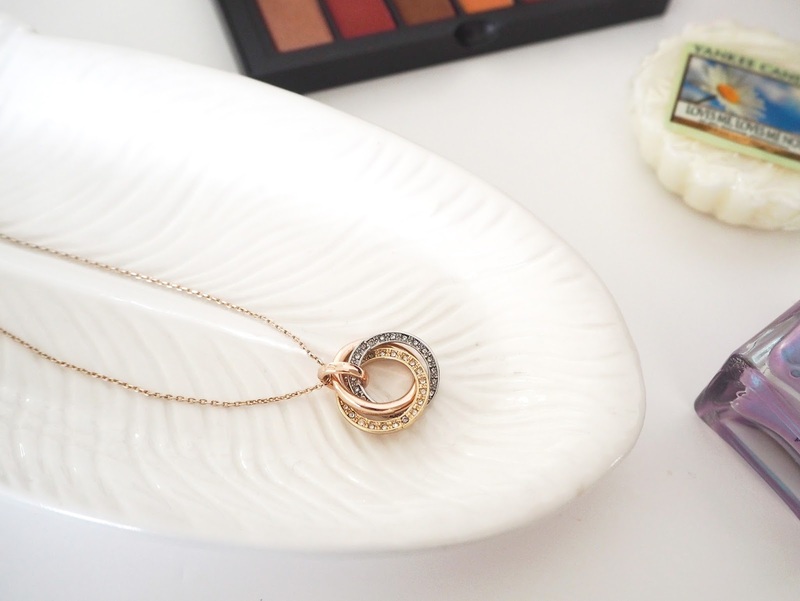 River Island Ring Necklace | I've been wearing this necklace so much lately! It's simple yet looks really pretty paired with almost every outfit, whether peeping through a shirt (pictured above) over a jumper or glamed up with a dress! I love that it features gold, silver and rose gold rings on the chain. It means I can match it with most of my earrings whatever the shade. Cute and versatile! I got this from River Island at the end of last year but you can find similar available here and here. 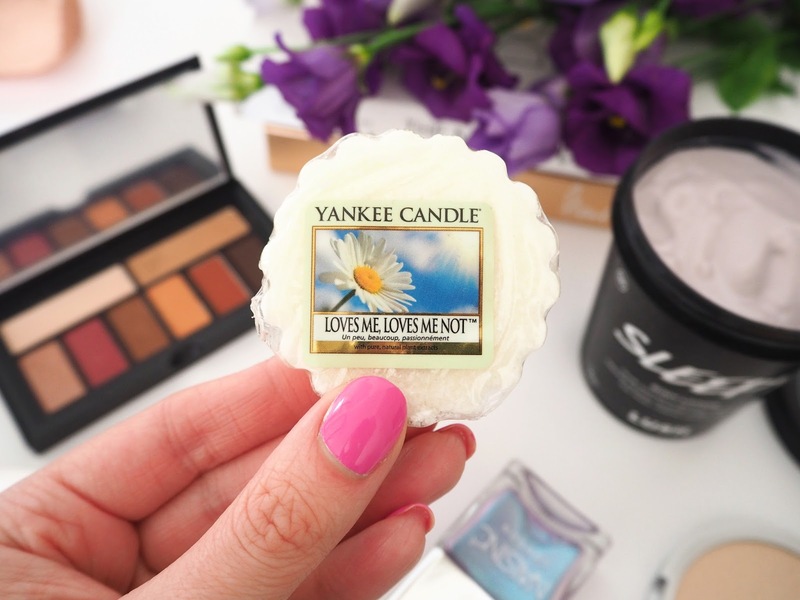 Yankee Candle Loves Me Loves Me Not | I'm loving floral fragrances at the moment. I find that the Yankee Candle ones have a particularly strong throw even when compared to their other fragrance families such as fresh or fruit. This one smells as fresh as a daisy! Which considering daisies don't really have a strong fragrance is a feat in itself. Fresh, green and spring like with a beautiful floral perfume. It conjures up exactly what a meadow full of daisies would smell like though and I imagine settling myself down for a picnic... I've burnt through an entire large jar of this one lately. It is now a retired fragrance so not currently available on the Yankee Candle website unfortunately but it's the sort of one I reckon they would bring back so keep an eye out. In the mean time you can also find melts on eBay! Described as "A fresh field daisy with pretty white petals just waiting to be plucked oh, the anticipation!" The Balm Cosmetics Mary-Lou Manizer | I do love a highlight, in fact after lip colour it's probably my favourite part of doing my make up! 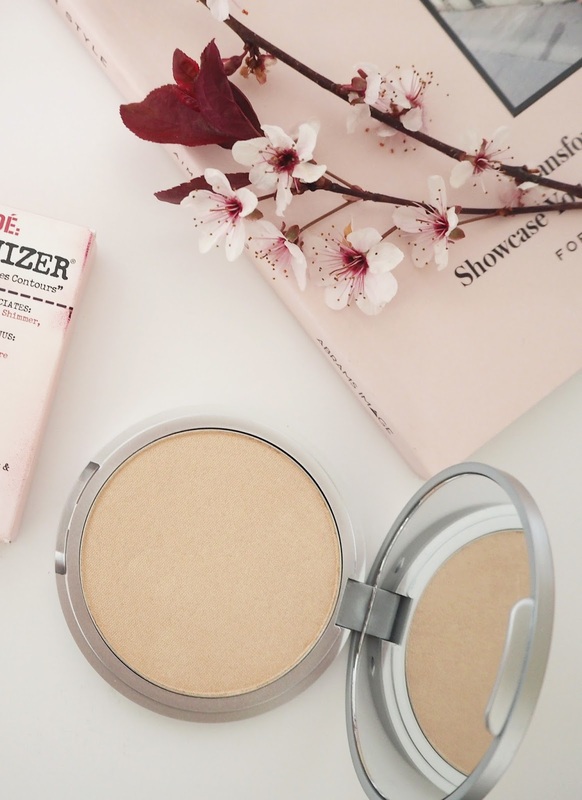 I've heard so much about The Balm Cosmetics particularly their highlighters, or Lou Manizers as they call them, that I was intrigued to give them a go. So when I realised I had some points to spend in the Birchbox shop I thought I'd have a little splurge and I bought two Cindy-Lou Manizer (which is more pinky) and this one Mary-Lou Manizer, which has more of a gold/champagne tone and is my favourite! The packaging is adorable, it very retro nd kitsch with the pin up style girls that it stands out from the norm. You can use this as a three-in-one highlighter, eyeshadow, and all-over shimmer with the prettiest honey-hued pigment! It creates exceptional luminescence and dimension on the skin that lasts all day, yet it looks so natural as it contains no glitter (I always try and avoid that with highlighters!). I'm such a convert to this product that I'm keen to try more from the brand now. That is such a pretty necklace! LOVE that Nails Inc nail polish, it's so pretty, and I agree about the wider brushes, I find them easier to get on with too! The Mary Lou highlighter looks increds too, I bought one as a gift for someone and I'm so gutted I didn't pick one up for myself too - might have to rectify that haha! Absolutely love this post. I need to get one of the Smashbox palettes, they look fab. And the mermaid nails are bloody stunning!